128KB of ram for $6400 ($21,800 in 2007 dollars). That’d get you somewhere around 1.2TB of ram today. 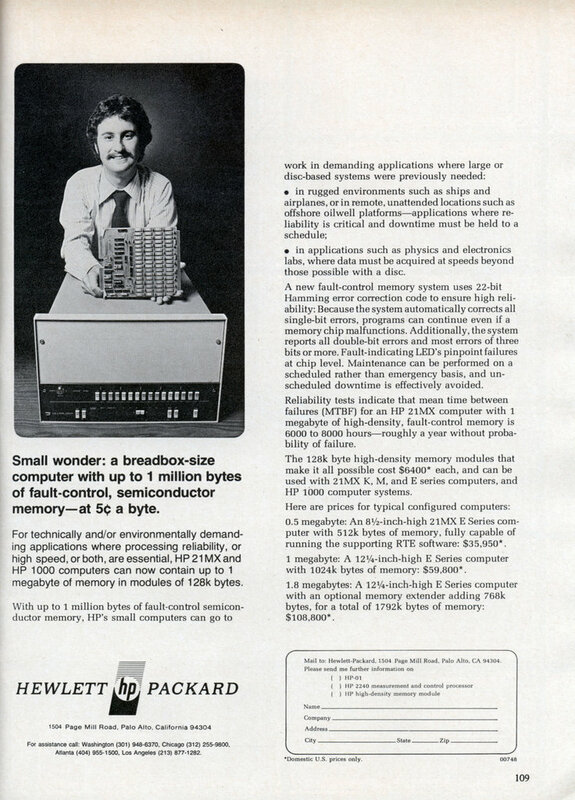 Small wonder: a breadbox-size computer with up to 1 million bytes of fault-control, semiconductor memory at 5c a byte. For technically and/or environmentally demanding applications where processing reliability, or high speed, or both, are essential, HP 21 MX and HP 1000 computers can now contain up to 1 megabyte of memory in modules of 128k bytes. * in applications such as physics and electronics labs, where data must be acquired at speeds beyond those possible with a disc. A new fault-control memory system uses 22-bit Hamming error correction code to ensure high reliability: Because the system automatically corrects all single-bit errors, programs can continue even if a memory chip malfunctions. Additionally, the system reports all double-bit errors and most errors of three bits or more. Fault-indicating LED’s pinpoint failures at chip level. Maintenance can be performed on a scheduled rather than emergency basis, and unscheduled downtime is effectively avoided. Reliability tests indicate that mean time between failures (MTBF) for an HP 21MX computer with 1 megabyte of high-density, fault-control memory is 6000 to 8000 hours -roughly a year without probability of failure. 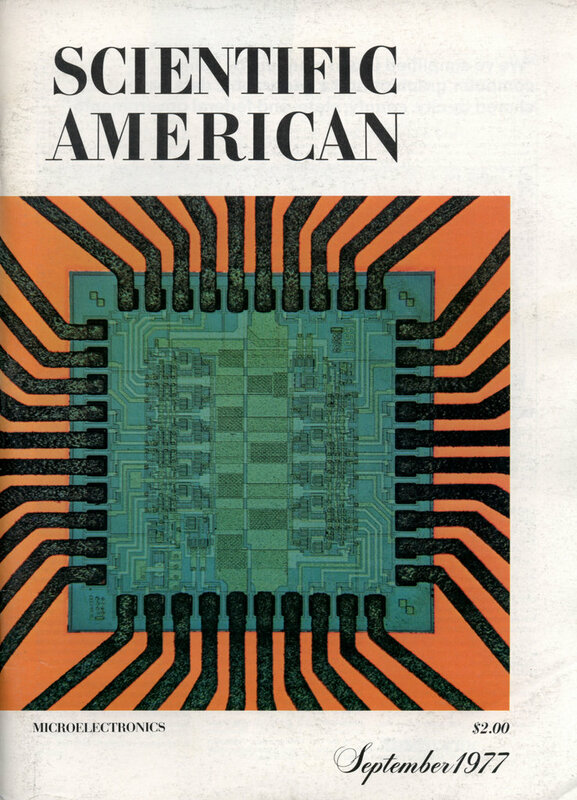 The 128k byte high-density memory modules that make it all possible cost $6400* each, and can be used with 21MX K, M, and E series computers, and HP 1000 computer systems. Here are prices for typical configured computers: 0.5 megabyte: An 8-1/2-inch-high 21MX E Series computer with 512k bytes of memory, fully capable of running the supporting RTE software: $35,950*. 1 megabyte: A 12-1/4-inch-high E Series computer with 1024k bytes of memory: $59,800*. 1.8 megabytes: A 12-1/4-inch-high E Series computer with an optional memory extender adding 768k bytes, for a total of 1792k bytes of memory: $108,800*. Huh, I didn’t realize systems had ECC RAM back then (it’s what’s referred to as “Hamming-code error correction” – ECC is often implemented using Hamming codes). It makes sense that they would in a system they’re advertising as being fault-tolerant, though. They had some mighty big bread boxes back then too. I recall studying Hamming ECC codes in college. Probably took the class in 1971.